Check out all the published entries in our Offseason in Review series here. In his second offseason at the helm of the Mariners, Dipoto swung a whopping 15 trades, several of which figure to hugely impact the team’s chances this year. None should carry as much weight as the late-November, four-major leaguer swap that saw the Mariners give up high-potential right-hander Taijuan Walker and unproven shortstop Ketel Marte for a fellow shortstop who has shown flashes of brilliance, Jean Segura, and untested outfielder Mitch Haniger. In theory, Segura shouldn’t have difficulty serving as an upgrade over Marte, whose .259/.287/.323 batting line in 466 plate appearances made him one of the majors’ least valuable shortstops last season. However, Segura posted a near-identical line as a Brewer from 2014-15 (.252/.285/.331 in 1,141 PAs) before stunningly breaking out in Arizona last year. His success as a Diamondback came thanks in part to better pitch selection (he swung at fewer pitches than ever, both in and out of the strike zone, yet still made contact at a rate in line with career norms) and an emphasis on elevating the ball. Segura’s ground-ball rate dropped roughly 6 percent from the previous two years, while both his fly ball and line drive marks rose. That led to more hard contact and a sizable uptick in power, evidenced by career bests in home runs (20) and ISO (.181), and a stellar .319/.368/.499 line in 694 trips to the plate. Both Segura’s production with the bat and his baserunning prowess (he stole 33 of 43 bags and ranked 15th in FanGraphs’ BsR metric) made him of the premier second basemen in baseball in 2016. 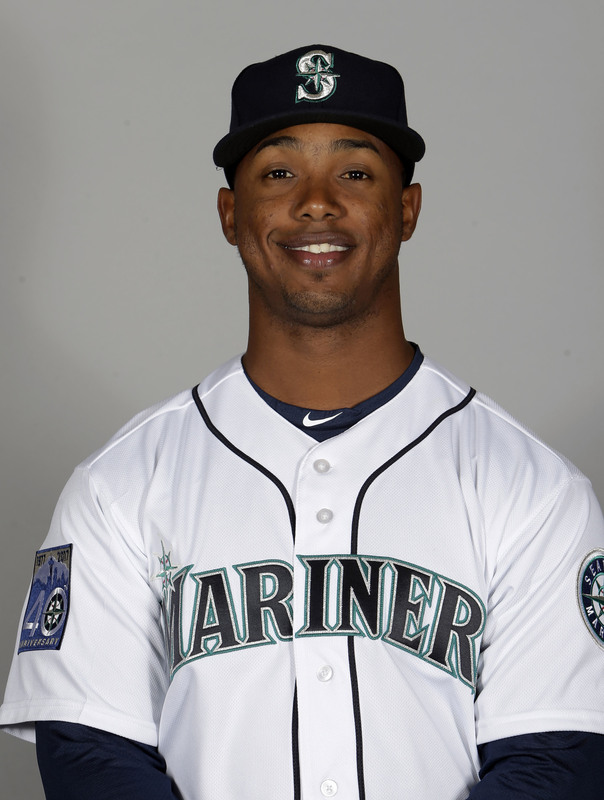 Now, with superstar Robinson Cano locking down the keystone, Segura will play shortstop in Seattle. The 27-year-old has plenty of experience at short, where he lined up in Milwaukee and graded as a passable defender (two Defensive Runs Saved, minus-10.6 Ultimate Zone Rating in 4,253 innings). Segura’s work at the plate will draw more scrutiny, though, and if the gains he made last year prove sustainable, he and Cano will give the Mariners an elite middle infield. As the most established players in the deal, Segura and Walker understandably drew the lion’s share of attention when Seattle and Arizona consummated the trade. But don’t sleep on Haniger, who will open 2017 as the Mariners’ right fielder. Haniger, 26, got his first taste of major league action last season and hit a forgettable .229/.309/.404 in 123 PAs, though he wasn’t necessarily overmatched (he did log approximately average strikeout and walk rates to go with a slightly above-average ISO). Plus, Haniger has a history of raking at the minor league level. At Triple-A Reno last year, he slashed a video game-like .341/.428/.670 in 312 attempts. It’s true that Haniger posted those numbers in the notoriously hitter-friendly Pacific Coast League, but wRC+ indicates his line was an incredible 85 percent better than the PCL average. Dipoto took notice. While it’s up in the air how much Haniger will boost the Mariners’ offense this season, odds are he’ll at least help their defense. Back in November, Kyle Glaser of Baseball America (subscription required and recommended) wrote that Haniger is a “good athlete” with “good range” and an “above-average arm.” The Mariners lacked quality defense in right last year, when their primary options – Seth Smith, Franklin Gutierrez and Nelson Cruz – combined for minus-10 DRS and a minus-9.1 UZR. Seattle was even worse off in left, where Nori Aoki and Smith racked up minus-12 DRS and a minus-10.3 UZR between them. Those two are now out of the organization, and another trade acquisition, ex-Royal Jarrod Dyson, will take over as the Mariners’ No. 1 left fielder. The pickup of Dyson typifies the Mariners’ win-today philosophy – the 32-year-old is only signed through this season, while the player they gave up for him, 29-year-old righty Nate Karns, is controllable through the 2020 campaign. In previewing Seattle’s offseason in October, I wrote, “Ideally for the Mariners, they’ll upgrade their position player group during the offseason with better defenders and baserunners who can also contribute offensively.” Dyson certainly checks two of those boxes. He’s not much of a hitter (.260/.325/.353 line in 1,539 lifetime PAs), but his defensive and baserunning excellence should combine to make him a valuable addition for the Mariners. Going back to 2012, the first year in which he saw extensive big league action, Dyson has amassed 53 Defensive Runs Saved and a 55.5 UZR – both of which rank among the league’s top seven outfielders over the past half-decade. On the base paths, the speedster swiped between 26 and 36 bags in each of the previous five seasons. He also finished last year with a 5.4 BsR, which placed 19th in the majors. The other notable newcomer to the Mariners’ starting lineup is Danny Valencia, whom they acquired from the AL West rival Athletics for nondescript pitching prospect Paul Blackburn. The plan was for the right-handed Valencia to platoon with the lefty-hitting Dan Vogelbach at first base, but the former will instead open the season as the everyday option there in the wake of the latter’s minor league demotion. It’s possible the Mariners’ faith in Vogelbach will come back to haunt them. Their offseason belief that he was ready for the majors stopped them from pursuing affordable left-handed hitters like Mitch Moreland, Brandon Moss and Pedro Alvarez, any of whom could have teamed with Valencia to form a satisfactory platoon. On the other hand, Valencia won’t need a partner if his recent success against same-handed pitchers continues. Once unusable versus righties, the 32-year-old combined for a .795 OPS in 602 PAs against them from 2015-16. With his performance against lefties factored in, Valencia quietly hit a tremendous .288/.346/.477 in 895 PAs during the previous two years. That type of production would certainly play at first, where the Mariners will try to hide the defensively challenged third baseman/outfielder. Along with addressing the Mariners’ group of position players through trades, Dipoto also made deals he hopes will upgrade a rotation that underwhelmed last season. 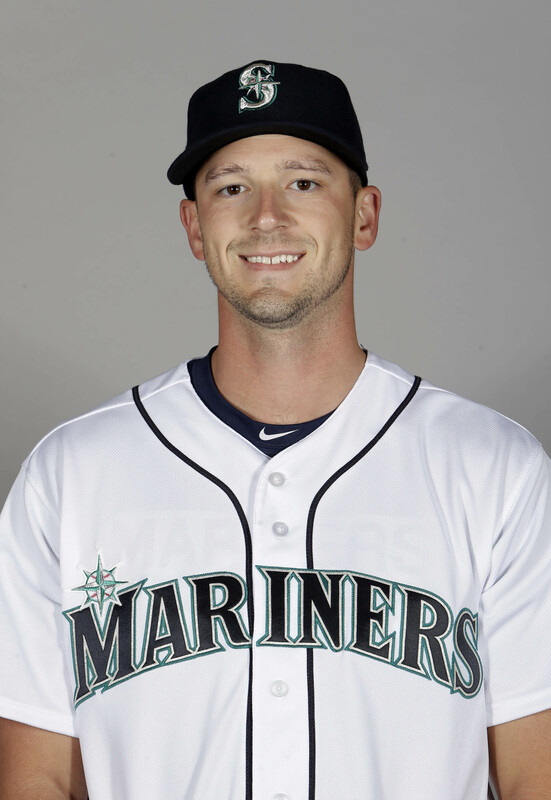 Dipoto brought in two new starters, Drew Smyly and Yovani Gallardo, the first of whom is the far more intriguing addition. Unfortunately for the Mariners, Smyly won’t debut until at least mid-May because of a flexor strain, which isn’t the first troubling injury of his career. Back in 2015, a partially torn left labrum limited Smyly to just 12 starts, though he and the Rays opted against surgery and instead chose rehabilitation through rest. That decision worked out nicely, but MLBTR contributor Bradley Woodrum later found that Smyly carries a fairly risk of eventually needing Tommy John surgery. Although Smyly was essentially the epitome of mediocrity last season (4.88 ERA, 4.49 FIP in 175 innings), he did show high-end potential over the two prior seasons. As a Tiger and Ray from 2014-15, Smyly pitched to a 3.30 ERA with 8.59 K/9 and 2.58 BB/9 across 212 1/3 frames. Compared to 2015, Smyly wasn’t fooling many hitters last season, when his K/9 fell from 10.4 to 8.57 and he generated fewer swings on pitches out of the strike zone. However, there’s hope that a notable increase in velocity could foster a turnaround (or it might have helped lead to the flexor strain). After working at 90 to 91 mph with his fastball from 2012-16, Smyly hung around the 92 mph to 94 mph range during the World Baseball Classic. If Smyly returns without any ill effects and those velocity gains stick, he could give the Mariners terrific production over the summer. The 31-year-old Gallardo was once a terrific starter himself, but he has trended downward in recent seasons and is now coming off a career-worst campaign. In 118 innings with the Orioles, Gallardo logged a 5.42 ERA and, with 6.48 K/9 and 4.65 BB/9, put up the league’s third-worst K/BB ratio (1.39) among pitchers who threw at least 110 frames. It’s debatable, then, whether the Mariners were right to bother with Gallardo when they could have signed someone like now-Royal Jason Hammel, whom they pursued in free agency. Regardless, the Mariners didn’t sacrifice much for Gallardo – only Seth Smith – and are left to hope the righty will revive his career this year. Two reasons for optimism: A shoulder injury may have been a key contributor to the now-healthy Gallardo’s ineffectiveness, and Baltimore was a poor fit for him. Not only is Camden Yards a hitters’ haven, but the Orioles’ dreadful defensive outfield didn’t do any favors for Gallardo, who yielded more fly balls than usual last season. Conversely, the Mariners’ outfield of Haniger, Dyson and Leonys Martin isn’t going to let playable fly balls land all that often, and the cavernous Safeco Field is a forgiving environment for pitchers. The home stadium switch won’t necessarily be a cure-all – it’s worth noting that Gallardo was also woeful on the road last season – but the defensive change should at least prove beneficial. Gallardo averaged just over five innings per start in each of the previous two seasons, so the Mariners’ bullpen ought to see a fair amount of action on days he takes the hill. It just so happens that they only dipped into free agency for relievers, signing southpaw Marc Rzepczynski and righty Casey Fien. Rzepczynski got the bigger contract, and even though it’s not exactly onerous ($11MM over two years), it does look like an overpayment compared to the cheaper guarantees fellow lefties Jerry Blevins (Mets) and Boone Logan (Indians) settled for later in the offseason. For the most part, the 31-year-old Rzepczynski’s only real use has been against lefties, whom he has held to a paltry .219/.291/.298 line in his career (righties have slashed .275/.377/.431). Fien, whom the Mariners handed a relatively meager $1MM guarantee, was tough on all hitters as a member of the Twins from 2012-15, a stretch in which he held righties to a .228/.259/.361 output and limited lefties to a .240/.283/.402 line. Fien also pitched to a 3.54 ERA, registered 7.93 K/9 against 1.57 BB/9 and only allowed home runs on 8.4 percent of fly balls during that 223 2/3-inning span. But home runs against the fly ball-heavy Fien skyrocketed last season (24.5 percent), leading to a 5.49 ERA across 39 1/3 frames with the Twins and Dodgers. That happened in spite of an increase in velocity, a career-best K/9 (8.01), a more-than-respectable BB/9 (2.29) and the second-highest swinging-strike rate of Fien’s career (12.3 percent). So, there are reasons to hope for a revival from the 33-year-old. Uncertainty abounds in the Mariners’ rotation, which is set to include Felix Hernandez, Hisashi Iwakuma, James Paxton, Gallardo and, for now, uninspiring swingman Ariel Miranda (trade acquisitions Chris Heston, Robert Whalen and Dillon Overton are also on hand as depth). That doesn’t look like a better quintet than last year’s group that featured Hernandez, Iwakuma, Paxton, Walker and Karns at times. Once among the game’s foremost aces, Hernandez produced like a mid-rotation type in 2015 and then experienced even more of a drop-off last season, the first year since 2007 in which he failed to reach the 200-inning mark. While it’s possible that a strained calf was largely to blame for Hernandez’s relatively ordinary 2016, he wasn’t his usual self even before suffering the injury in late May. Although Hernandez posted a 2.86 ERA in 63 innings, a so-so K/9 (7.56) and a below-par BB/9 (3.69) indicated he had fortune on his side. After returning toward the end of July, he totaled 90 1/3 more frames and logged an ugly ERA (4.48) that accompanied even less impressive strikeout and walk rates per nine (6.93 and 3.87, respectively). Hernandez experienced a velocity drop along the way, and his swinging-strike and ground-ball rates hit their lowest levels since 2011. Signs are pointing to this being a real decline for the soon-to-be 31-year-old workhorse, who has 2,415 major league innings under his belt. In an effort to regain both his velocity and his past form, Hernandez went through “tough,” muscle-building workouts during the offseason. He bulked up from 207 pounds to 224, and early indications regarding his velocity are somewhat encouraging. Like Hernandez, Iwakuma is coming off an uncharacteristically average season. Given that he’ll turn 36 next month, it might be unwise to expect the Iwakuma of 2012-15 to return. During that four-year stretch, Iwakuma combined for a 3.17 ERA, 7.59 K/9, 1.75 BB/9 and a 50.1 percent ground-ball rate. Iwakuma fell off in each of those categories last season (4.12 ERA, 6.65 K/9, 2.08 BB/9, 40.8 percent grounder rate), though he did throw the second-most innings of his career (199). If healthy, he’ll at least continue as a respectable starter, but as with Hernandez, his days as a front-line type could be over. While Hernandez and Iwakuma seem to be trending downward, Paxton’s stock is rising, and he has the potential to give the Mariners a much-needed top-of-the-rotation arm. The southpaw averaged an outstanding 96.7 mph on his fastball last season, placing him below only Noah Syndergaard and Nathan Eovaldi among starters who threw at least 120 innings. That was the latest positive development for a pitcher who has consistently recorded positive results since debuting in 2013, having compiled a 3.43 ERA and 3.32 FIP in 50 starts. The main question with the 28-year-old Paxton centers on durability, as he has never tossed more than 171 2/3 innings in a season (he did that last year between the majors and minors). Given the makeup of their season-opening rotation, Seattle’s clearly going to need Paxton to take more steps forward this year. The Mariners could also use a full season of quality production from catcher Mike Zunino, who encouraged at both the minor and major league levels last season. The 2012 third overall pick had easily his best year offensively with the Mariners, albeit over just 192 PAs, as he hit .207/.318/.470. Zunino continued his high-strikeout, low-contact ways, but he helped offset those issues by increasing his walk rate to 10.9 percent (it was at just 5.1 percent from 2013-15) and hitting for far more power (ISO in 2016: .262; ISO from 2013-15: .160). The 26-year-old isn’t going to continue swatting 23.1 percent of fly balls out of the ballpark, as he did last season, but maintaining some of his patience and power gains from then would still give the Mariners a capable hitter behind the plate. Zunino also brings value as a defender, having graded well as a pitch framer and thrown out a league-average amount of would-be base stealers thus far in his career. In the event that Zunino’s 2016 was a fluke, the Mariners did bring in a solid backup in the highly respected Carlos Ruiz, who was Dipoto’s first offseason trade acquisition. For a win-now team, the Smyly injury is an obvious setback, but there’s still an above-average amount of talent on hand. Led by Cano, Cruz and Kyle Seager, the Mariners should again bring a respectable offense to the table. However, the attack probably won’t be as potent as the one that ranked sixth in runs and second in wRC+ a year ago, when the departed Seth Smith, Gutierrez and Aoki each provided sturdy production at the plate. The Mariners’ group of position players looks better in general, though, as Dipoto rightly emphasized improving the team’s defense and baserunning. Meanwhile, the starting staff is a question mark, yet the Mariners are in possession of what should be a good bullpen (led by the great Edwin Diaz) to help take some of the pressure off the rotation. There’s pressure on the organization as a whole, given both the playoff drought and management’s desire to end it immediately. The roster includes a slew of players who are over 30 years old, including integral contributors in Cano, Cruz, Dyson, Hernandez and Iwakuma (Seager will turn 30 in November), and the Mariners are set for a franchise-record Opening Day payroll near $155MM. Further, considering the Mariners have the third-worst farm system in the majors, according to ESPN’s Keith Law (subscription required and recommended), Dipoto’s myriad offseason maneuverings must pay dividends in 2017. Seattle’s over-30 core players probably aren’t going to get any more effective as they age, so the time is indeed now for a playoff run. Any last minute suggestions before tomorrow’s game? Lock DiPoto in a room before he makes another trade? You can lock him in a room, but if he still has his phone good luck lol. He might even be able to make a trade without his phone. 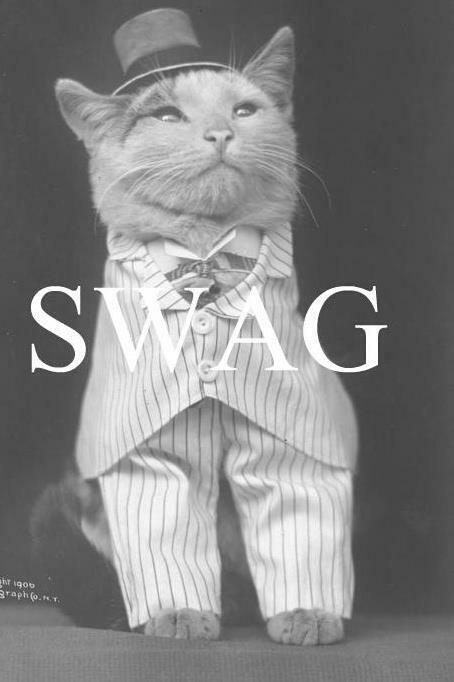 Trades and Trades and Trades and Third Place. Man, that “trades and claims” list, though. Nice overview, but your conclusion that the offense is a wash with 2016 is likely waaaaaay off base. They have much more speed, not just in the outfield, but on offense, and the M’s are now a base-stealing threat. They have potential leadoff hitters (Segura and Dyson) that are far better than the 2016 options. They have a core group of hitters that now goes beyond Cano, Cruz, and Seager, adding former all-star Segura who led the NL in hits in 2016, Haniger, who appears to be the real thing and may be a ROY candidate, and even Valencia, who for the past two years has been a more-than-decent hitter vs. both left and right-handed pitchers. With the above additions the Mariners could have one of the strongest offenses in all of baseball, in particular if Zunino at catcher continues his incremental improvements.